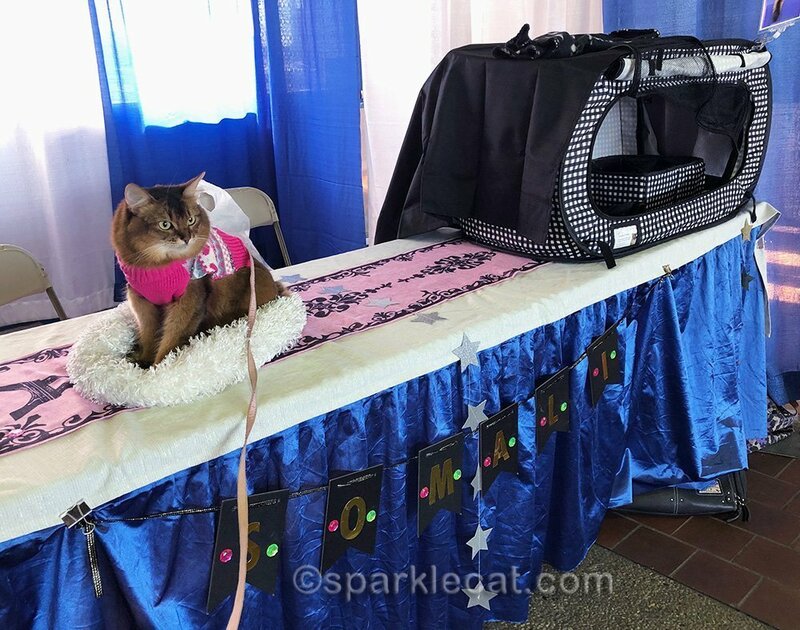 When my human set up my booth at Meet the Breeds, I was really worried about how plain it looked. I was so relieved to see the big cutout of Vana that you saw yesterday. But there was more. The poster with my photos from last year was back! Yes, they are all of me! I’m glad I’m representing the breed so well! 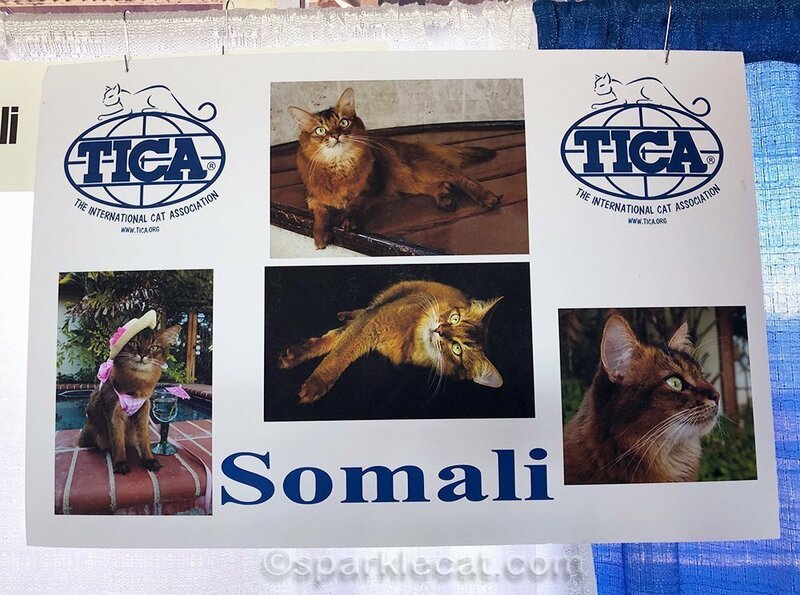 I will be honest — we were so busy at Meet the Breeds that my human didn’t get very many good photos. I did get to meet some Instagram friends’ humans who live nearby — @harley_tank_quinn and @theodore_h_kittycat. They have photos of me on their Instagram accounts. Lola and Lexy’s human came by too, and hung out with us at the booth. She brought a pair of “nerd” sunglasses that neither Lola nor Lexy would agree to wear. I don’t know why — I had no problem with them! Sadly, this is the only photo of my human’s that came out, with me not facing the camera! Even though the day was a big photo FAIL for us, I did a lot of meeting and greeting with bunches of people! 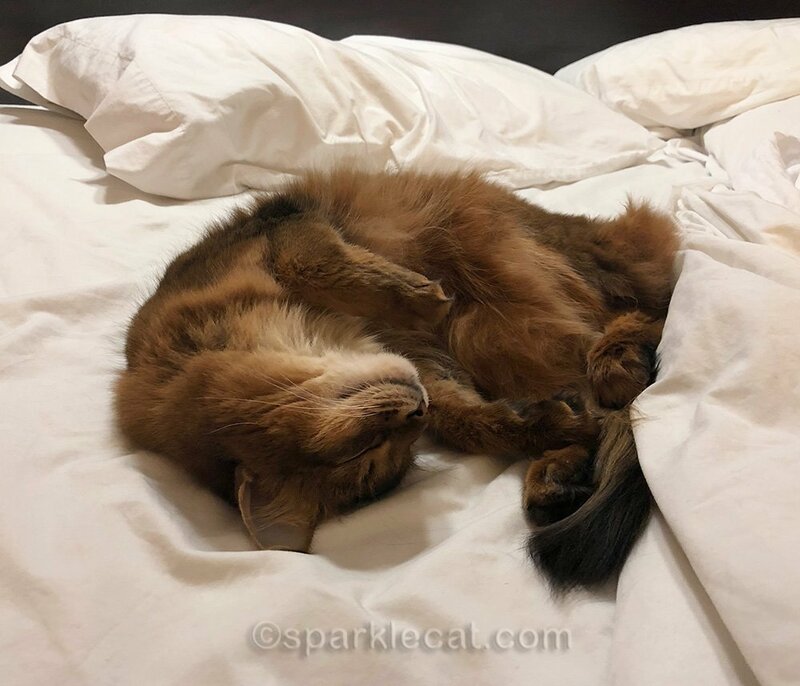 While my human went off and had dinner with Lola and Lexy’s human, I crashed out on the bed. It was a really tiring day! I will say, I was really happy to come home! It’s too cold back east for me right now! Meow meow not onlee beeuteefull an sweet yore so humbill Summer! 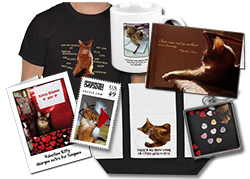 You rep-present yore breed an all catss with diggynity an grace! Mee iss honored to call you mee frend! More great photos…you deserve a lot of down time after so much UP time at the event! It has been VERY cold here on the East Coast………yesterday sleet all day – today rain. You made a lot of people happy, Summer! Next year you’ll have to bring booties in case it snows like it did last night and tonight. TW really enjoyed her time with you and your human. It was too cold for her to go into the city Saturday. What a fun time you had, Summer. Youâ€™re such a pro dealing with the public. We hope you had a nice restful sleep after all that, Summer! Sounds like you had a fun trip! Love that poster. Bet that bed looked like heaven when you were finished for the day! Sorry it was so cold for you and your human. 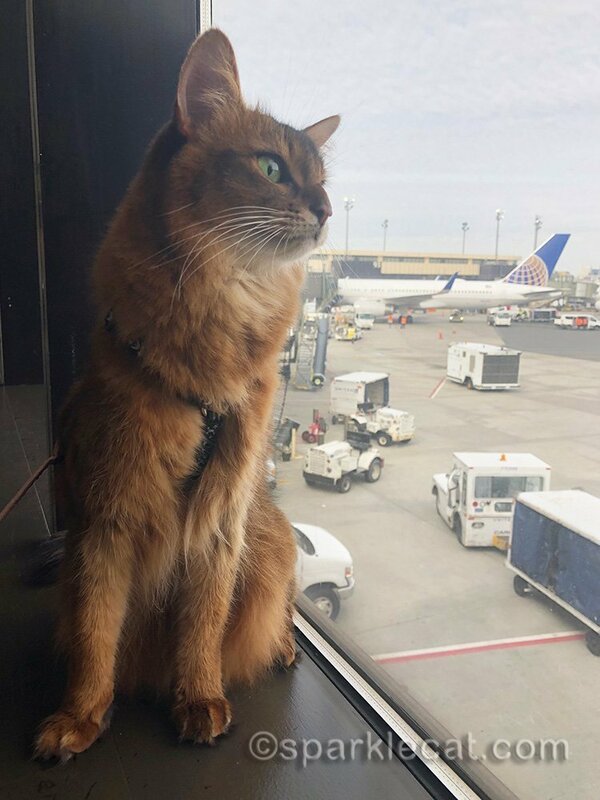 As I’ve said before, Summer…I hope you visit the MidWest sometime, so I can meet you in purrson too! I am glad you had a good time there and met lots of friends. How cool that you got to hang out with some friends! Sounds like an awesome weekend! 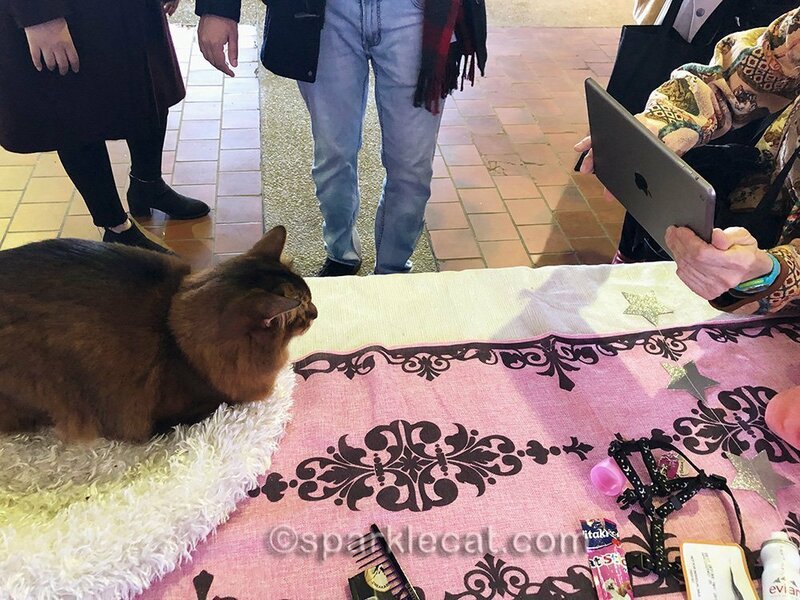 If your human wasnâ€™t able to get photos of you, it means you were super busy meeting all your adoring fans and being an amazing spokeskitty! Looks like a fun weekend, but we have to agree about the east coast weather – too cold! Great you met friends and influenced a LOT of people! It looks like yoo had an eventful weekend! You look very comfy snoozing in that big bed! 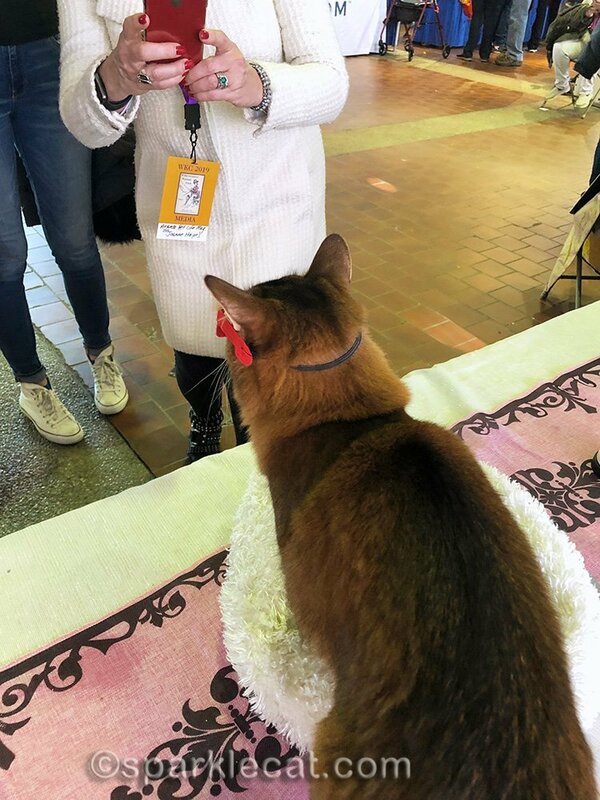 Looks like you had a successful Meet The Breeds booth and had a good time as well – glad you’re going home to warmer temps. 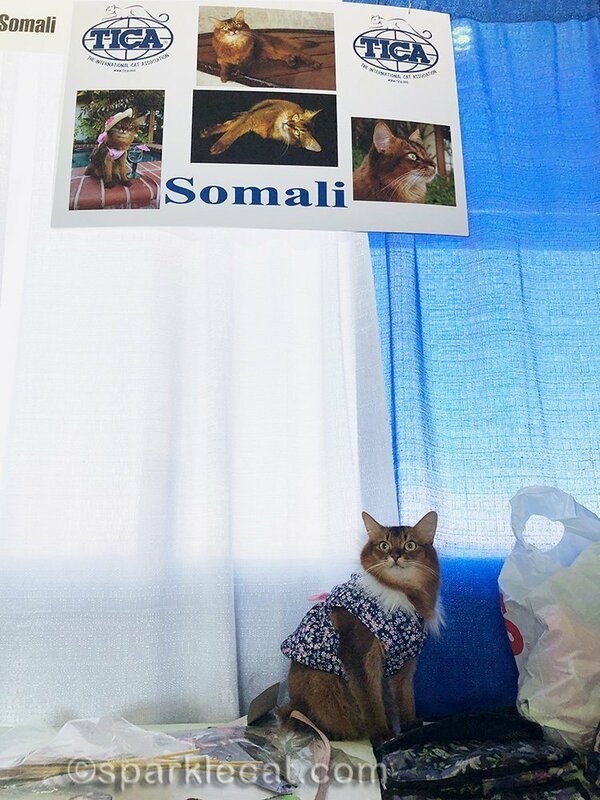 Your poster looks fantastic. You are the very best kitty to represent the breed! You seem to have a new set of wardrobe for this event. We cant remember seeing you in the dress on pic#2. Summer, you were the main attraction anyway. Brian was right. YOU made the booth. It doesn’t need anything but you. I know mom said just now that she wishes she could have met Lola and Lexi’s mom and you and your mom. It would have been the highlight of the month for her she said. She is fond of Lola’s mom and yours, and all three kitties, you, Lola and Lexi. I’m glad you got to meet so many fans sweet Summer! Hey, YOU make the booth!!! It is cold here. Glad you had a great time!